This entry was posted in Quilts and tagged antique quilt top, Burgoyne Surrounded, hand quilting, Quilting, Quilts, vintage quilt top. 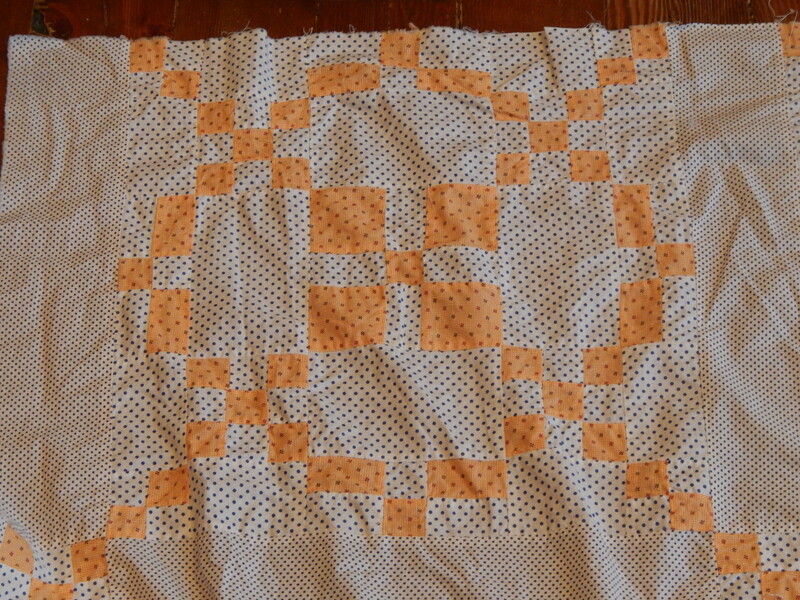 Those old quilt kits are fascinating to me — love the one you finished! And I adore the new antique top you’ve got – there’s something about two-fabric quilts that I never get tired of. And that pattern is wonderful! 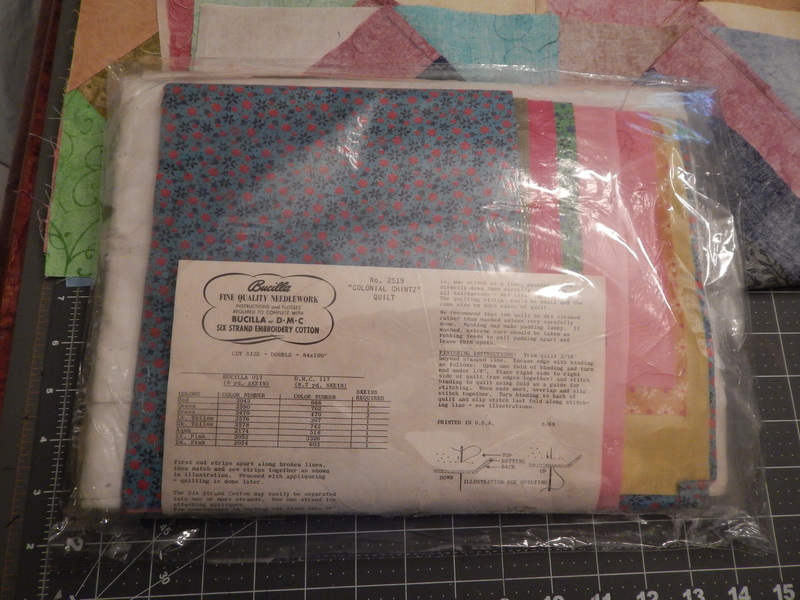 thanks Cathi!……I have always loved the old kit quilts, this is the first one I finished…..now that I did I think I will finish a few more of them….I think I have 4 or 5 or 6 more…..
Love how the two fabrics play off each other. 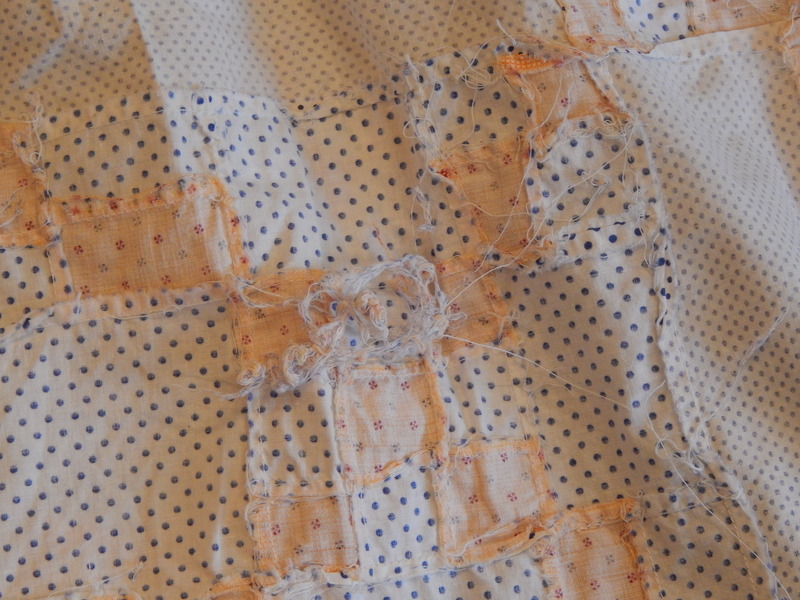 Hope the quilting smooths it out. 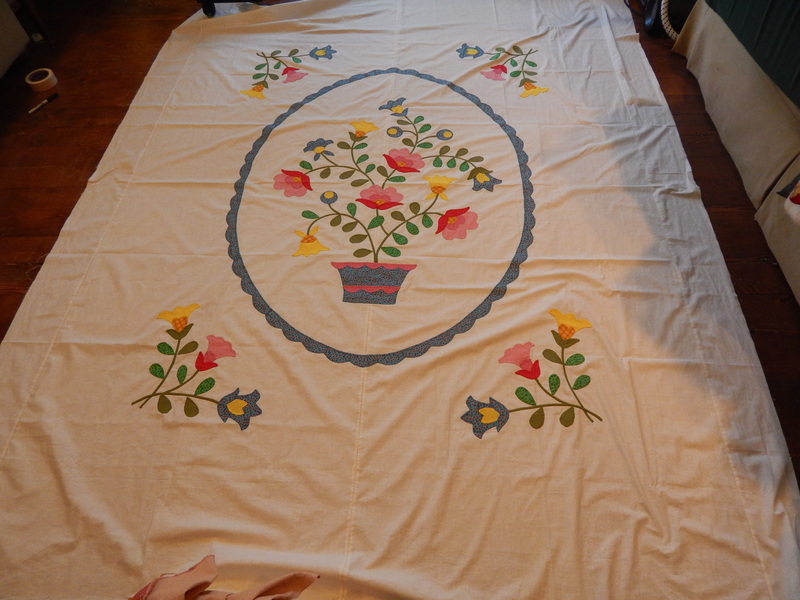 The applique top looks wonderful. I was wondering if you’d consider using one of your pieced tops as the backing for it. I ‘found’ in my stash a premarked wholecloth top I got at the Smithsonian over 20 years ago, and pieced some simple large blocks the same size. I’ve been hand quilting it lately and it’s been fun. 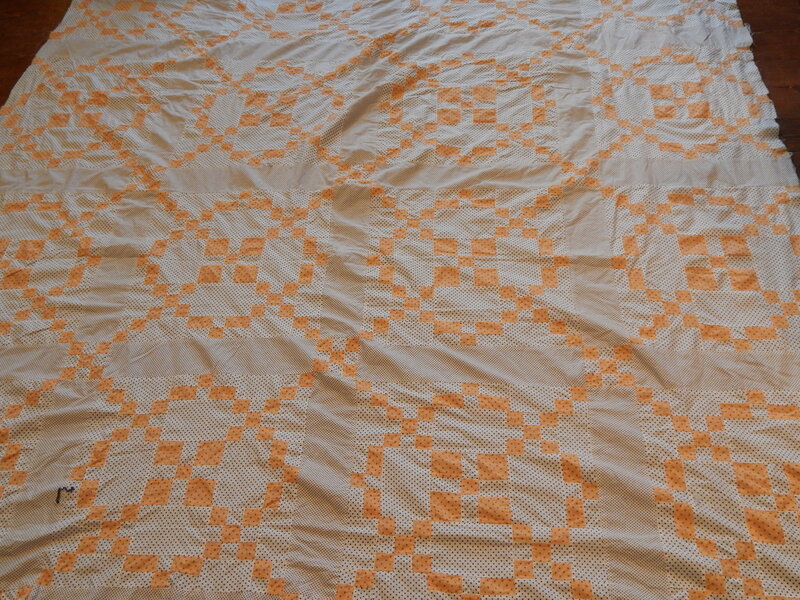 I’ll have a truly reversible quilt when done. Considering some of the other tops you’ve turned into wonders I’m sure you’ll do something fantastic with your latest acquisition! I love your blog,and the beautiful work you do. 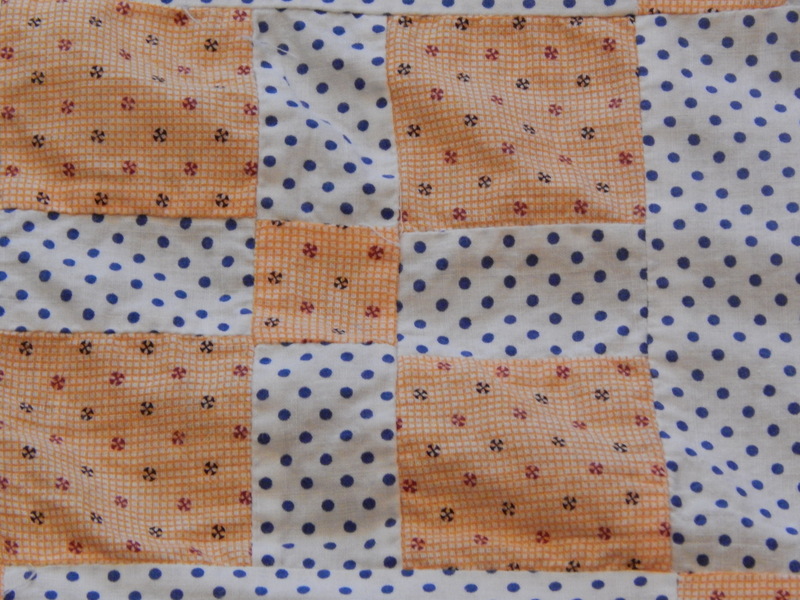 I like the look of perle cotton for hand quilting However I have not found a needle that I can work with. I’d be interested to know what kind of needle you use. I have been trying to work with #8 perle. The appliquéd quilt kit turned out beautifully. The uncluttered simplicity of the design is so attractive. Looking forward to seeing how you will hand quilt it. You have such interesting projects, especially the older antique tops you are saving. Great job on the applique! Can’t wait to see it quilted as that adds so much texture and dimension. Love the look of the second quilt too. It will look stunning quilted I’m sure. 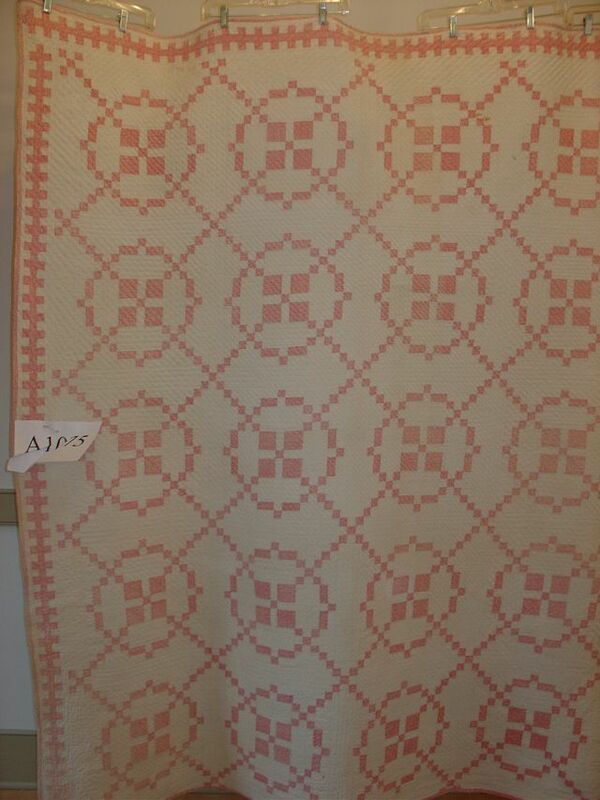 What a good idea to quilt this with something other than white thread. Your choice will certainly add to the design of the quilt and once done – another beauty! 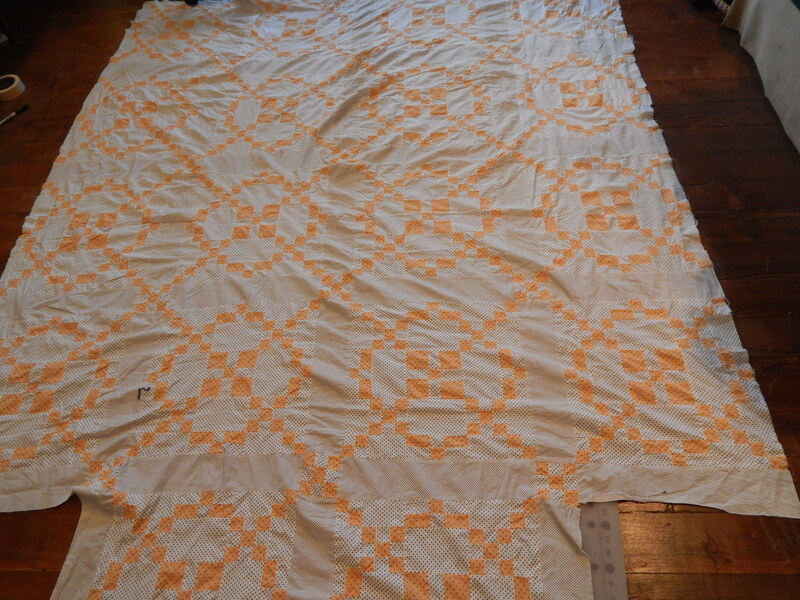 Seems more people are doing “big stitch” quilting. I like it. I like how it looks and I like how it makes the quilt feel. 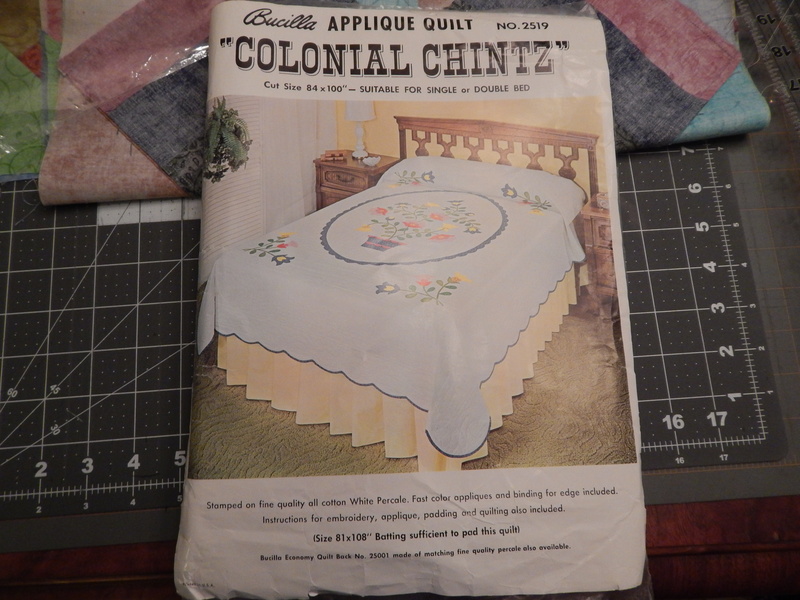 I’m betting there are more than a few treasured family quilts out there with this same type of quilting done long before it was labeled “big stitch”. Nice work on the appliqué ! The fabric is really pretty in the old quilt! Great find. The appliqué looks great Tim good work. 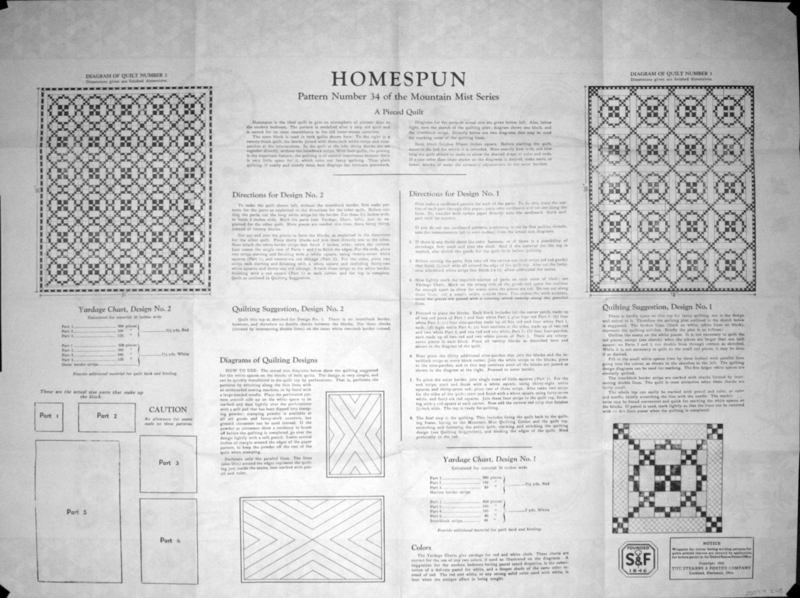 Love the pattern of your new quilt top. You seem to buy quilt tops like fabric!! Unbelievable! It seems you like a challenge! This one will keep you busy.Good luck with it. I have been fascinated with the Surround the Burgoyne, since 1982, when I first saw a picture of one in dark blue and white. 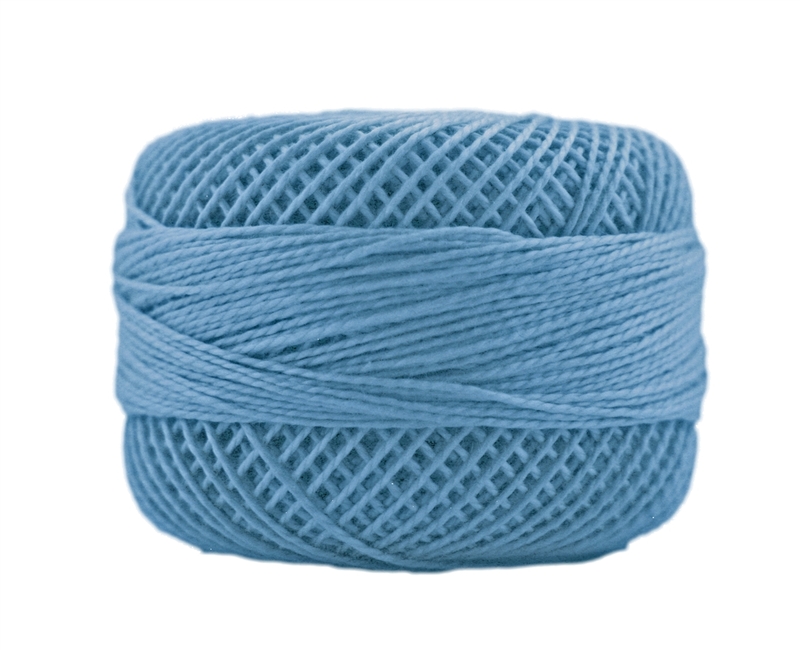 I could never decide which two colors to use to make one. Finally, in 2013, I saw one made with scappy colors and was inspired to start piecing. I machine pieced and hand quilted and it finally graced our bed New Years weekend 2015. Love your work with the antique tops. Thanks for the inspiration!